Sterling silver Celtic motif earrings with rose gold shamrocks. 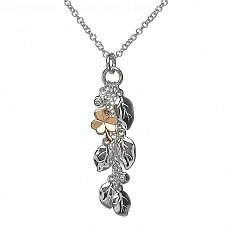 The shamrocks are made from rare Irish gold that has been mined in County Tyrone, Ireland. They come with a certificate of authenticity and free luxury packaging. 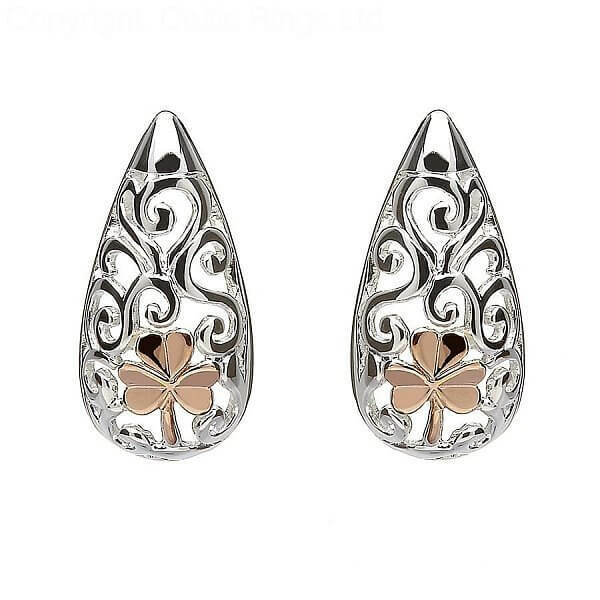 Give the gift of Ireland with these Irish-made Celtic earrings.